employee is to have income without employment. 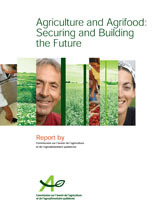 The Commission sur l’avenir de l’agriculture et de l’agroalimentaire québécois offers a thorough, worried and honest insight into the present state of Québec's agriculture. A mandatory read for all critics of our current agricultural model, the «Pronovost report» details all our previous mistakes while making encouraging and tangible reccomandations to escape the current dead-end. In response to the demands made by the U.C.C. 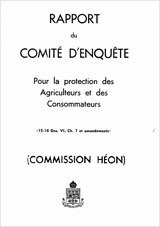 (Catholic Cultivators Union) in the 1940s, Québec'c government launched the Héon commission "for the protection of farmers and consumers" in 1953. The committee was made up of three members and it was a district judge, M.Héon, who presided over the committee. The report, known as the "Héon report", was published in 1955 and was the basis of what became the M-35.1 Act Respecting the Marketing of Agricultural, Food and Fish Products which pretty much gave in to all U.C.C. demands, specifically the ones related to the marketing acts and schemes they so desperately wanted. This was the beginning of the end for the short-lived "free enterprise" era of Québec's agriculture. 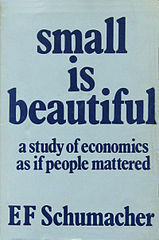 "City dwellers often forget that unconsciously they contribute their share to the rising costs of farm products. It is tempting to rail against food prices or seek to bring them down. It may occasionally be wiser to wonder how we will keep the "man who feeds us" feeding us, if we make his job unrewarding by comparison with other employment." "In farmer-consumer relations consumers hold a blind and perilous power. The power to decide by their chance tastes in buying where our manpower will find it most profitable to work ... and what it will pay Canada most to produce. Radios ... or bread? Meat ... or motorcars? Pulpwood for comics ... or lumber for homes? Soft drinks ... or milk? This is the choice we make each time we shop. For one industry... say a television factory or a distillery... can outbid another... say a dairy farm... for its manpower only through OUR greater readiness to buy more of and pay more for what the winning factory produces. Fifty years ago, in Quebec, for example, 65% of the people lived on the land and easily fed the 35% living in cities. Then steak cost lOc a lb. - today 75% live and produce "things" or services in cities - these must be fed by the shrunken 25% left on the farms- so steak no longer costs lOc a 1b." "We all like gadgets, but their price may be higher than we think. The refrigerators on your street alone may have siphoned ten men away from the farm, where cows who won't keep union hours are losing out to factories that will. This is one factor behind rising milk prices. Only by making it more rewarding for men to produce food than gadgets can we turn back the tide now rapidly emptying our farms of their labour. To want cheap necessities is human. But is it wise? Today many consumers spend more readily 7c for 6 ounces of soft drink than 22 or 24 cents for 40 ounces of milk. We employ, hence produce, where we spend. 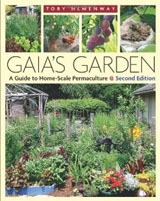 It may be time we examined more thoughtfully what our consumer dollar does to us who spend it"
A great foray into the fascinating world of permaculture. Notice in this excerpt how the concept of "edge", which Toby Hemenway describes here, also could apply to the notion of ideas transitioning from marginal to mainstream. It is my belief that this "contact zone" between "the very few" and "the masses" is where everything important and significant starts. 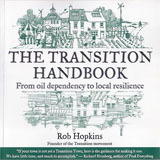 Understanding the concepts of resilience and peak oil. Great, great read. 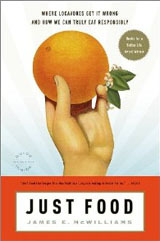 This is the book that triggered my awakening. 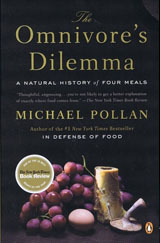 p.268 "As our diet and the diet of the animals we eat shifted from one based on green plants to one based on grain (from grass to corn), the ratio of omega-6 to omega-3 has gone from roughly one to one (in the diet of hunter-gatherers) to more than ten to one. We may one day come to regard this shift as one of the most deleterious dietary changes wrought by the industrialisation of our food cain". 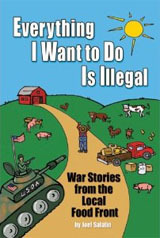 p.230 Michael Pollan quoting Joel Salatin: "Make no mistake, we're in a war with the bureaucrats, who would like nothing better than to put us out of business"
READ THE WHOLE BOOK (in french) ON-LINE! 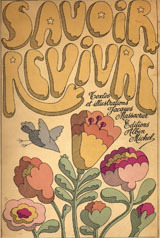 "Each year, hundreds of thousands of people realize the sterility of their social life, can't shake the feeling that great upheavals or cataclysms, which would spare only primitive tribes, are to come and leave to relearn how to live organically with nature.